HF Radio has been around since Marconi established transatlantic communications in 1901, and without his radios the Titanic tragedy almost exactly 100 years ago would have been even worse than it was. HF communications from the Titanic were picked up by mainland stations and many nearby ships although tragically they were not close enough to prevent the initial loss of life. HF radio occupies the electromagnetic spectrum from 3 to 30 MHz and it’s still very popular for of communication today and with good reason. HF signals can carry effectively over huge distances, from hundreds to thousands of km, and occasionally around the world. 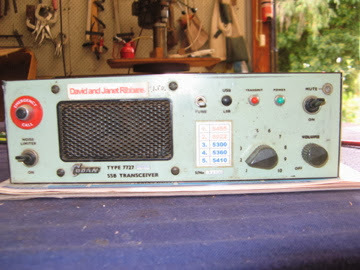 It was the low cost and simplicity of HF radio that provided the backbone for School of the Air communications services for more than 50 years and it still does for the Royal Flying Doctor Service, military forces and outback travellers emergency networks. 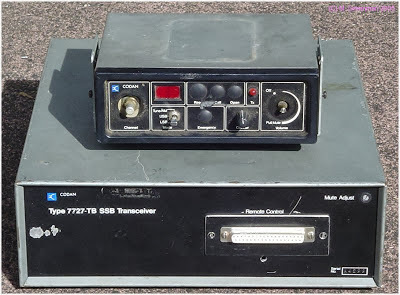 CB radios and mobile phones cannot provide the same outback communications capability although CB’s are useful in short range (eg convoy) situations and the Telstra NextG service is very useful near towns, railways and major highways. Modern radios can now provide a variety of communications services, such as email, SMS, telephone connections, Selcall and GPS position reporting, but the original principles of an HF radio are still embodied in radios from companies such as Codan and Barrett, with designs and technology that lead the world in HF communications. If your radio doesn’t have provision for GPS position reporting, or just for increased peace of mind, taking an EPIRB with you will ensure automatic initiation of search and rescue services should you ever find yourself in “grave and imminent danger”. New HF radios can cost up to $3,500 but since the principles of operation have not changed in 50 years, even secondhand radios up to 30 years old are still a very viable alternative. They are simple and reliable, and with the addition of a Selcall microphone, they can replicate many of the features of more modern radios. 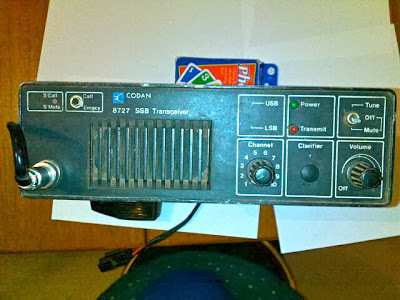 Current radios are microcomputer controlled with 100’s of channels programmed into them and a plethora of features, but fundamentally they do the same job now, and with the same transmitter power and communications range, as a 1970’s radio. The HF-Radio.com.au store is a useful source of new and refurbished radios and information. Just ensure any radio bought has Selcall facilities. A satellite phone, just like a home phone or mobile, can generally only be used to call a single recipient, whereas a call made on an HF radio can be heard by almost anyone whose radio is tuned to that frequency. And since there are just a few well established contact frequencies offered by various outback radio clubs (see table below), the chances are high that a call would be heard, probably by several listeners. While this might not be considered very private, in an emergency situation, or if you need roadside advice, or to pass on a message to folks back home, this can be a blessing. Few listeners would pass up a call for assistance or a request to relay a message or even just to chat with someone whose been traveling in a remote and lonely location for days. Recently, the RFDS ceased monitoring the red Emergency Button fitted on the front panel of most radios and now only responds to Selcalls, so it's important that any radio used in the outback has Selcall capability, which most radios from the 90's onwards do have. RFDS emergency telephone numbers are on the Flying Doctor website here (choose your state, they vary with location, except for 000 calls which are country-wide) and the RFDS has a close association with the VKS737 Australian National 4WD Radio network which can be used to call the RFDS via the HF radio Selcall sytem. Useful articles on HF radio Communications are on the Exploroz website here and the Beadell Tours website here. The VKS737 base operator called the emergency services who dispatched an ambulance to the site while he maintained contact with the lady and lead her though the emergency medical procedure to ensure the patient was given the appropriate first aid. During this period all other regular skeds were deferred and the operator maintained contact with the lady to provide reassurance and support. It was a clear demonstration of the benefits of HF radio in the outback and just how critical it is that all members of the party know how to use the radio, not just the blokes. Whilst this process fortunately worked on this occasion, the lady didn't know how to use the Selcall system (a bit like making a phone call which rings on your radio to alert someone that they are being called). Between sked times the HF bases are not monitored so a Selcall is the only way to alert the operator of an incoming call. Using an HF radio regularly is a good way of keeping in touch with other people who are out there doing much the same as you are, but importantly, it also confirms, that your radio is working and will be ready if or when you have an emergency. And because it might be you that needs help, ensure that all other members of your group, especially the younger members, are familiar with operating the radio, including erecting and connecting the antenna, choosing the right channel and making a Selcall. Check out this “Operating Essentials” document from the VKS737 network and the how to use the Sellcal system here (Doc 40). If you don't have Selcall on your radio there is an App for iPhone and Android phones to generate Selcall tones for transmission via the microphone which might be a useful alternative. Our radio is fitted with Selcall and we've tested it, but never had to use it in an emergency yet. I printed some simple Selcall instructions and emergency call numbers and stuck them near the radio so that anyone can operate it if necessary. Making the first call can be a bit daunting but base operators are always happy to offer advice to people new to HF radio and it soon becomes second nature to them. VKS737 7 Channels, 14 Bases, some in RFDS bases.